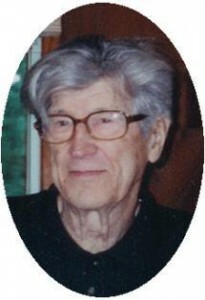 Marion L. Wesley, 82, died Tuesday, January 7, 2006 at his Belgium Gardens residence. He was born November 3, 1923 in West Allis, Wisconsin to Martin and Eva Oliphant. Lionel met Ethel Heins of Milwaukee and they were married May 10, 1947 in Milwaukee. He worked as a coil winder at Allis Chalmers in West Allis for over 30 years. He was a member of the AC-UAW and retired in 1985. They moved to Saukville in the early 2000’s and in 2004 the moved to Belgium Gardens in Belgium. He enjoyed woodworking, making furniture and building his first house. He also helped his daughter build her first house. He is survived by his wife, Ethel and daughter Kathy (John) Molter of Saukville. Further survived by grandsons Timothy (Britta) Molter of Seattle, Washington and Neil (Natalie) Molter of Columbia Fall, Montana, a great grandson Mason Molter, other relatives and friends. He is preceded in death by his brothers Clifford, Melvin and Mortie Wesley. Chaplain Robert Lantz of Heartland Hospice will officiate memorial services 4 pm Saturday, February 18, 2006 at the funeral home. Visitation 2 – 4 pm Satruday, February 18, 2006 at the funeral home. Memorials appreciated.